An apple a day: What makes apples so healthy? You’ve probably heard the proverb “An apple a day keeps the doctor away.” This saying was first recorded in Wales during the 1860’s with the original wording “Eat an apple on going to bed, and you’ll keep the doctor from earning his bread.” Clearly apples have been recognized as a health food for a very long time, and for good reason. Apples are one of the most cultivated and consumed fruits on the planet. They are very rich in antioxidants, flavonoids and dietary fiber, which elevates the humble apple to the rank of bonafide superfood. Studies suggest that apples may help reduce the risk of developing medical conditions like cancer, hypertension, diabetes, cardiovascular disease and more. The best way to keep apples’ nutrition intact is to eat them raw since cooking can result in the loss of certain nutrients. Having said that, cooked apples are still a very wholesome food that can contribute to maintaining good overall health. 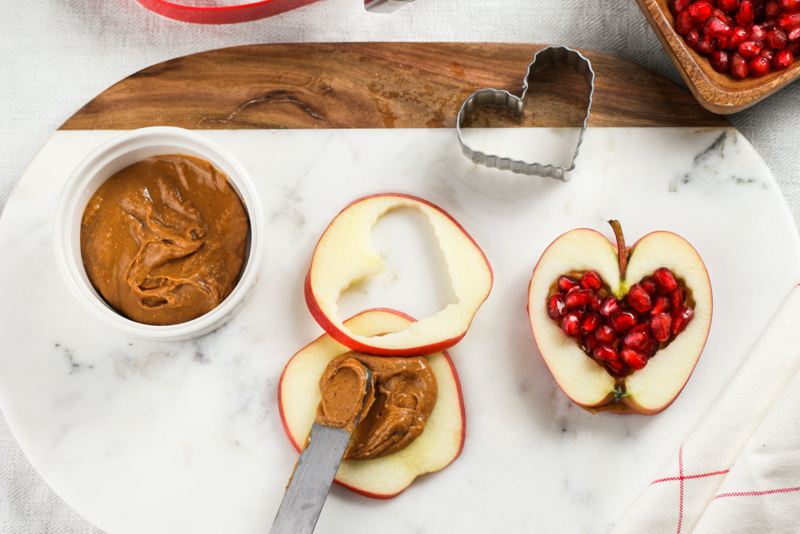 For the best nutritional bang for your buck when cooking with apples, try to avoid using refined sugar and opt for whole-wheat substitutes where possible. Keep fats to a minimum and banish hydrogenated oils completely. Add extra nutrition by combining apples, cooked or raw, with other fruits, vegetables, pulses and grains. 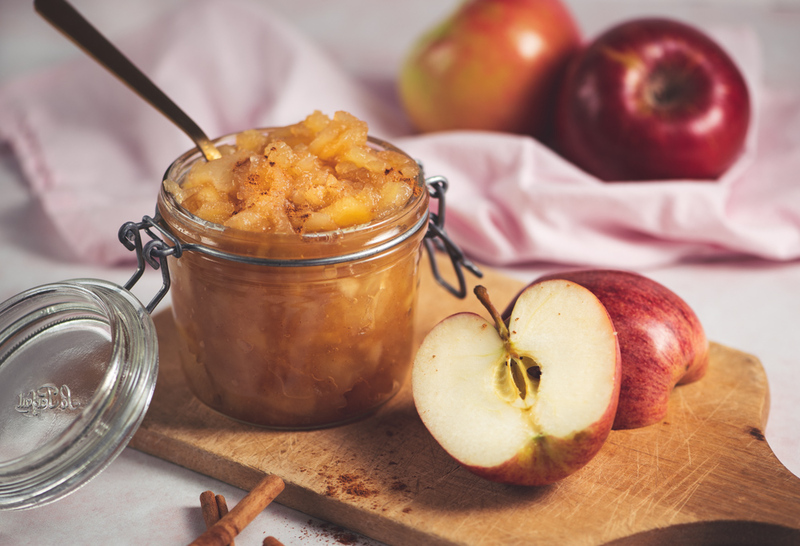 SugarBee® apples are so deliciously sweet, this recipe doesn’t require any added sugar to make the perfect applesauce. Only 5 ingredients and no refined flour or sugar! 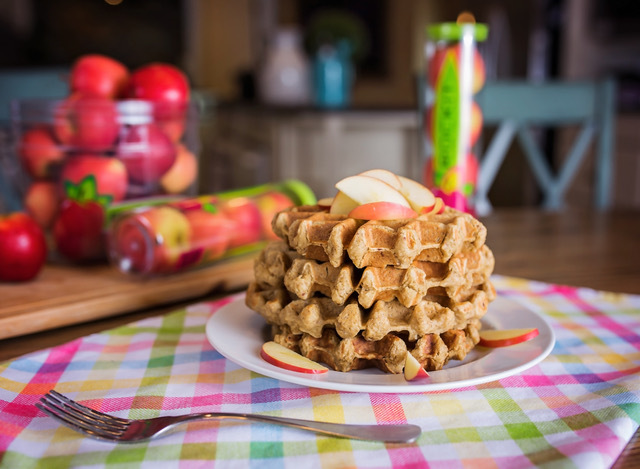 This easy-peasy apple waffle recipe will have your family singing at breakfast. We love this raw crispy salad with its citrusy vinaigrette. 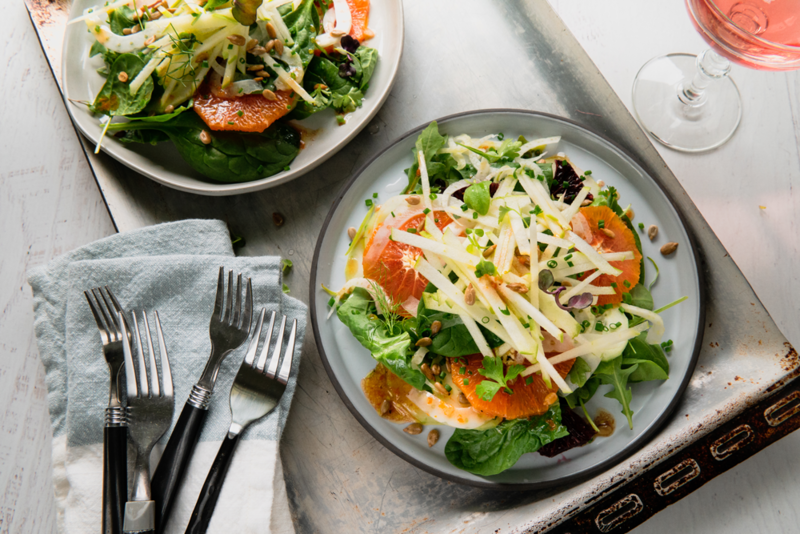 Granny smiths offer a burst of acidity and keeps the salad light. 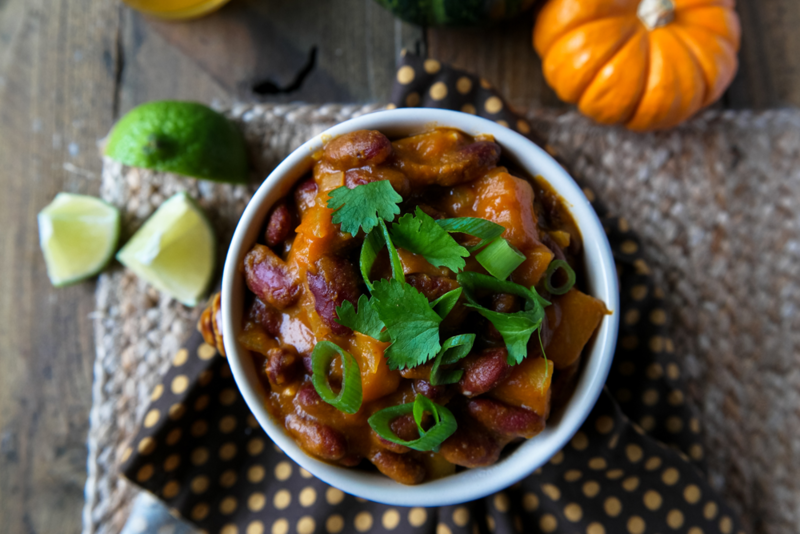 Make the veggie chili version of this original and hearty dish to cut down on cholesterol and increase fiber content. It’ll become a family favorite! 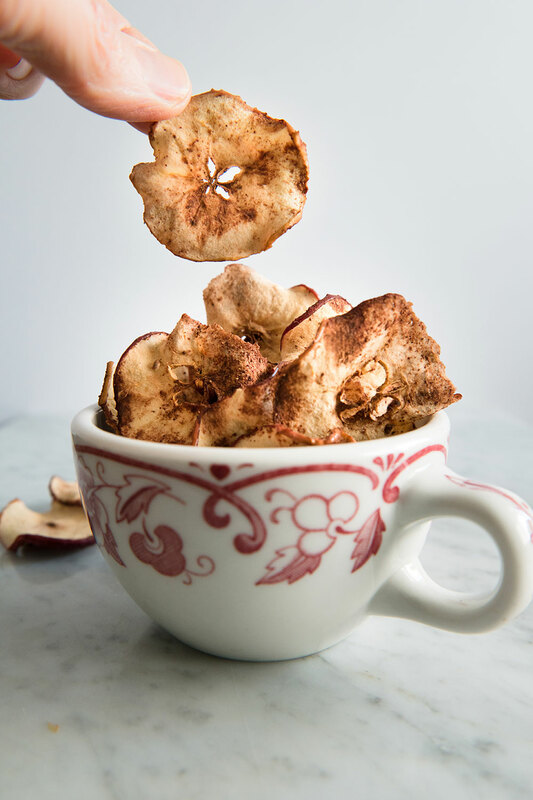 Only 5 ingredients are needed to make this crispy and tasty snack. Zero oil and just enough sugar to please everyone’s sweet tooth. 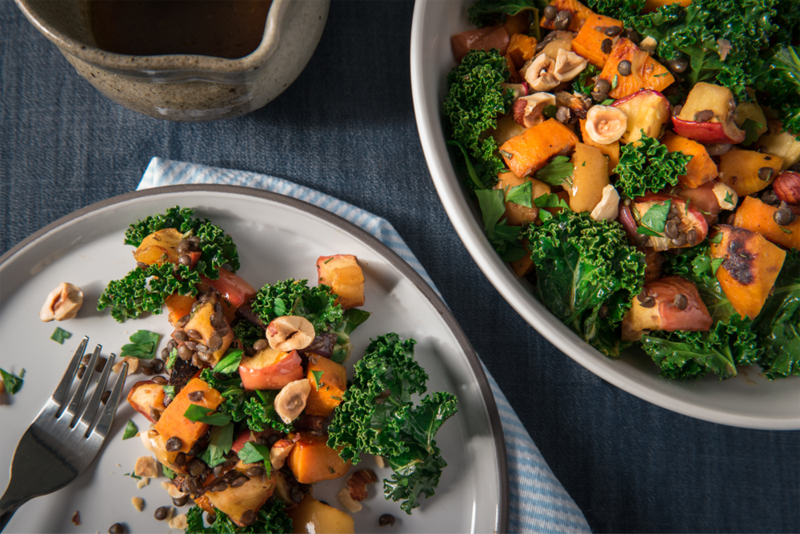 Combine the nutritional benefits of apples with roasted vegetables like sweet potato and kale. A protein-packed feast thanks to added lentils. 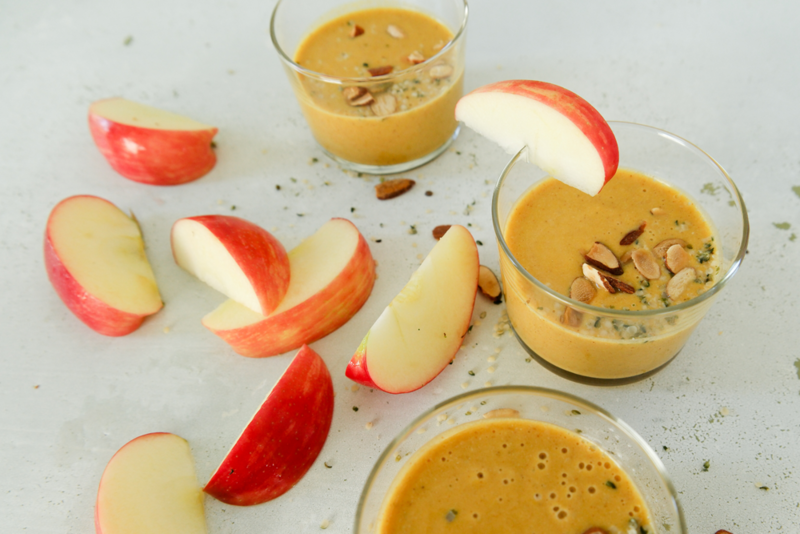 Proof that healthy can also be decadent and fun! These easy-to-make sandwiches are bursting with antioxidants. 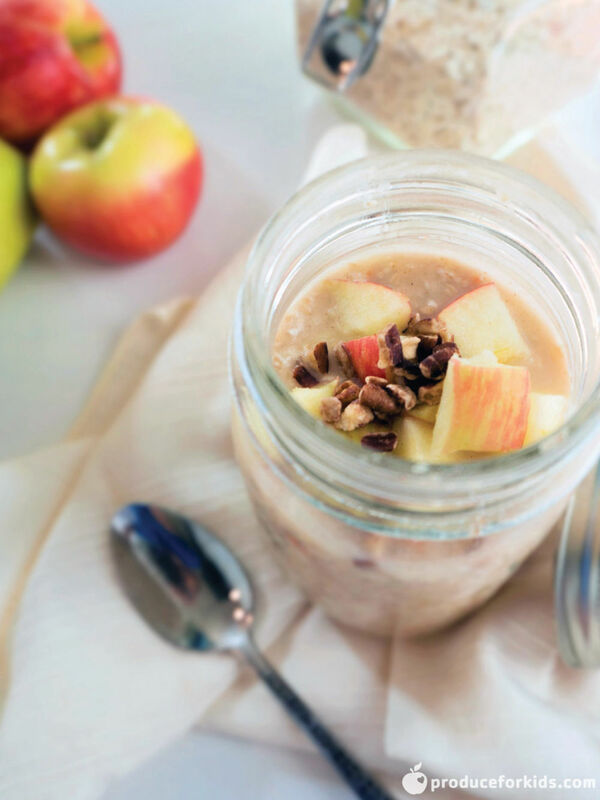 Maple syrup and pineapple juice sub in for refined sugar in our tasty overnight oats recipe loaded with apple superfood goodness. Blending the apples raw helps to maintain their nutrition. A perfect way to get your day off to an energetic start!